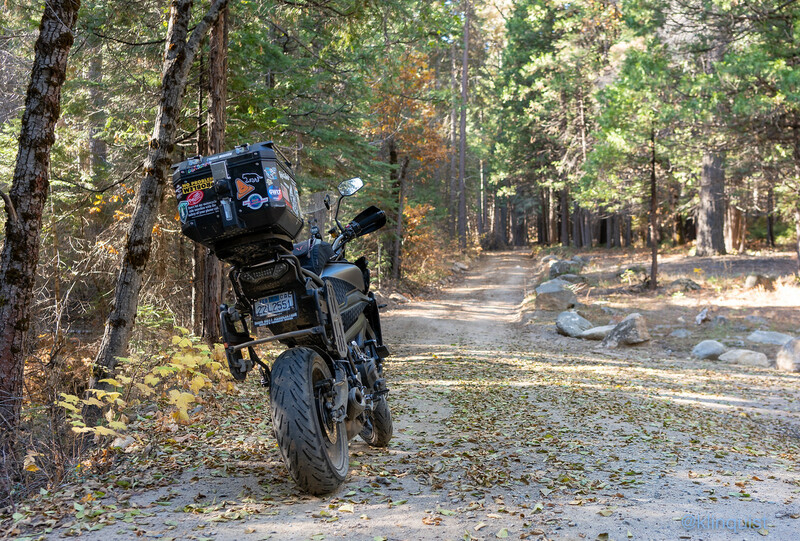 Overnight in Yosemite - Bypassing the gates! 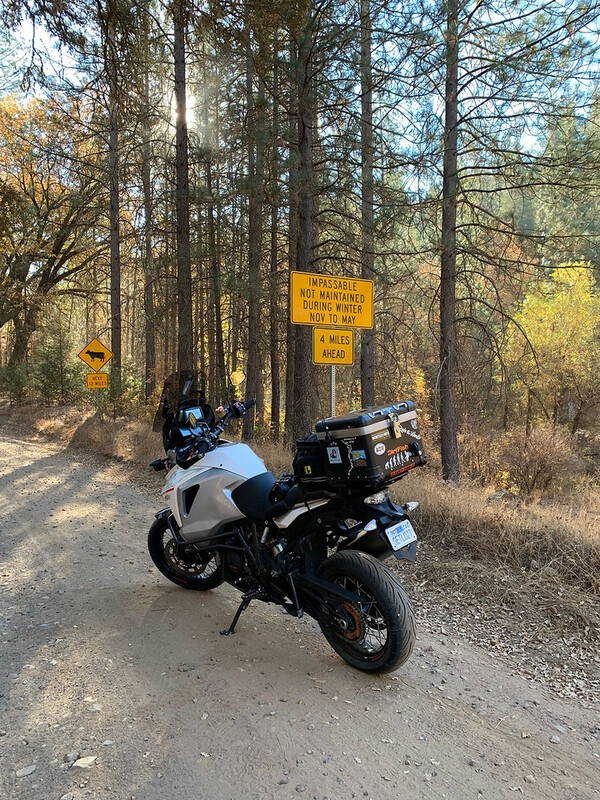 Discussion in 'Ride Reports - Day Trippin'' started by klinquist, Nov 4, 2018. 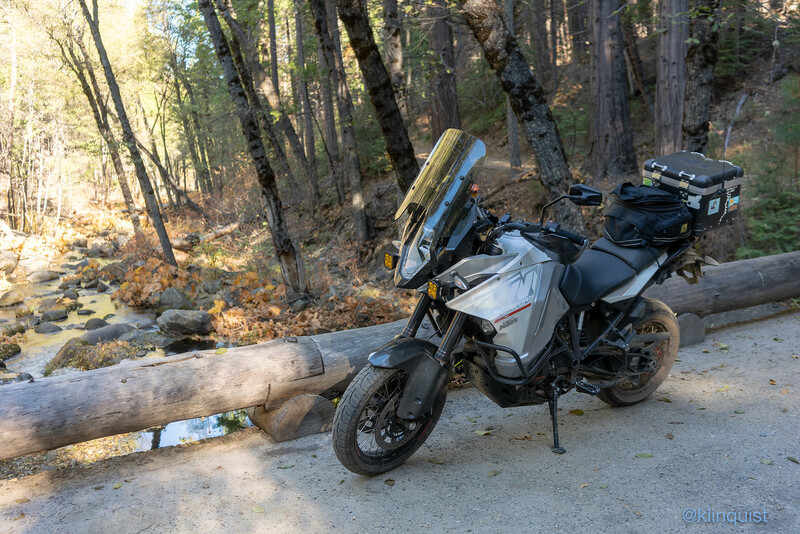 My buddy (FJ09) and I (1290SAdv) took Friday off and did a little ADV jaunt into Yosemite from the Bay Area. I had always wanted to take dirt roads in AND out of the park.... it is possible! 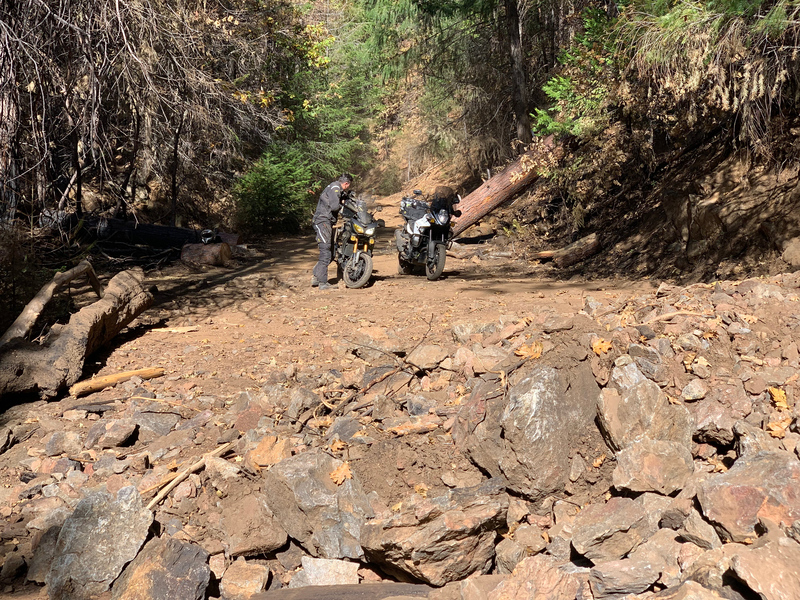 There were quite a few ruts on parts of the road which made for slow going for my FJ09 buddy. The KTM just plowed up everything as one would expect :). We came upon a rock slide. Someone put a "rock slide ahead" sign about 200 feet before the rock slide, which seemed pretty pointless. I was 50% sure I could ride right over, so I did the responsible thing and just walked my bike over :). This takes you through the little community of Foresta then back on 120. We got a heated tent cabin at Half Dome Village (it will always be Curry!). 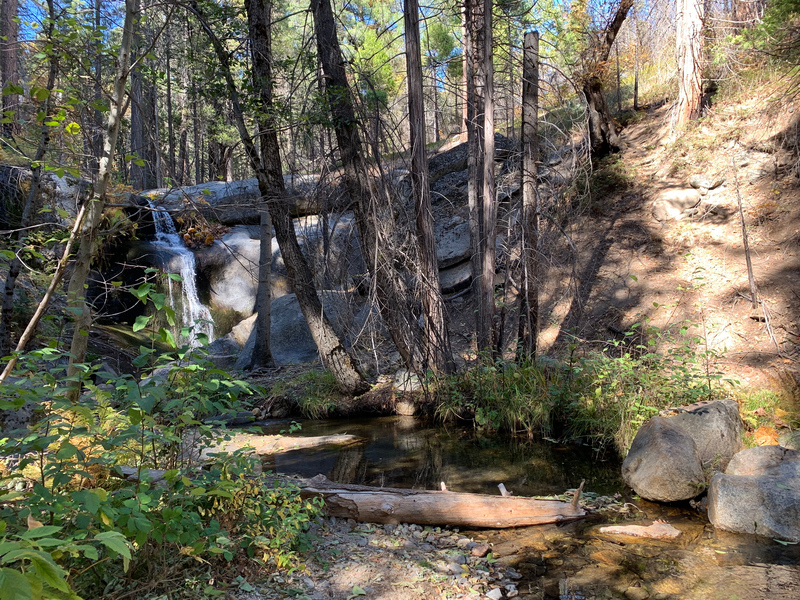 Got a martini and lunch at the Ahwahnee, hiked a few miles, then bought a bottle of whiskey and found a group of Aramark employees to spend a few hours chatting and drinking with. From there, we continued down 41 to Chowchilla Mountain Rd. You basically ride the little narrow golf cart path across from the Wawona hotel and it turns into Chowchilla Mountain. Popped out along 49 and rode back to San Jose! Marbleminer, staudio, NSFW and 9 others like this. Cool "detour"! I saw the antenna on your top box and then noticed Amateur Radio listed in your signature, that has to be fun kit to have along. I once met a guy way up in the mountains (as far as his truck could take him) and he was all set up for a comfy weekend of chatting with those he said he normally had difficulties reaching where he lived. Had a nice visit while he explained his gear and hobby while juggling his long distance conversations. I have a permanently mounted box under my seat that beacons my location over that antenna to an amateur radio network called APRS. Cheaper than a SPOT! 9Realms and bobw like this. Fantastic! Great shots. Especially drolling as we suddenly have snow. Great report. 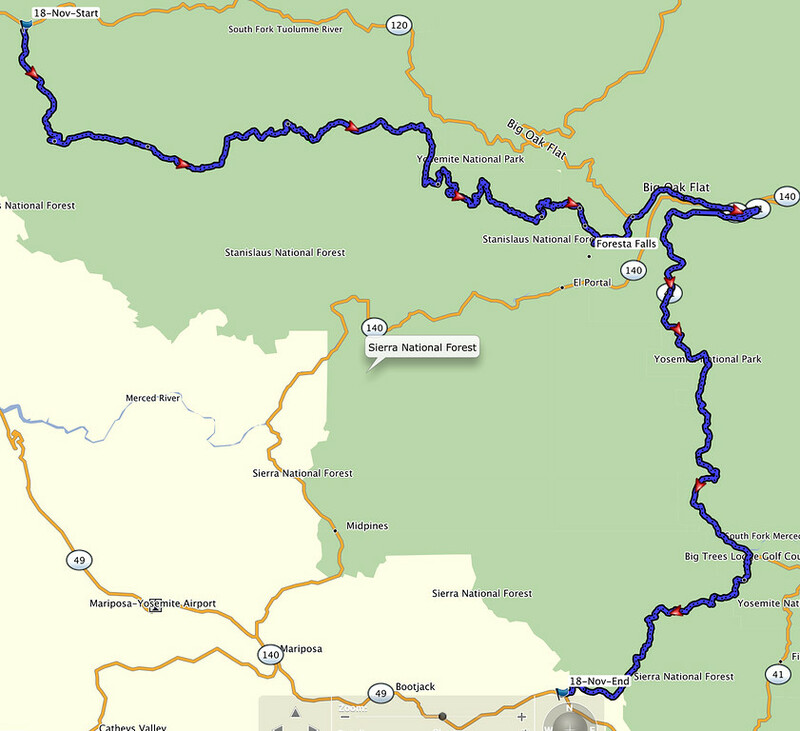 Is this route passable with a 4WD? I've thought about this route for a while, but I wasn't sure if there would be a gate before Foresta or on Chowchilla Mt. rd. Probably need high clearance to get over the rock slide pictured. Hmmmm got me thinking....son's getting married at Glacier point in May. No problems with the tire on the KTM? 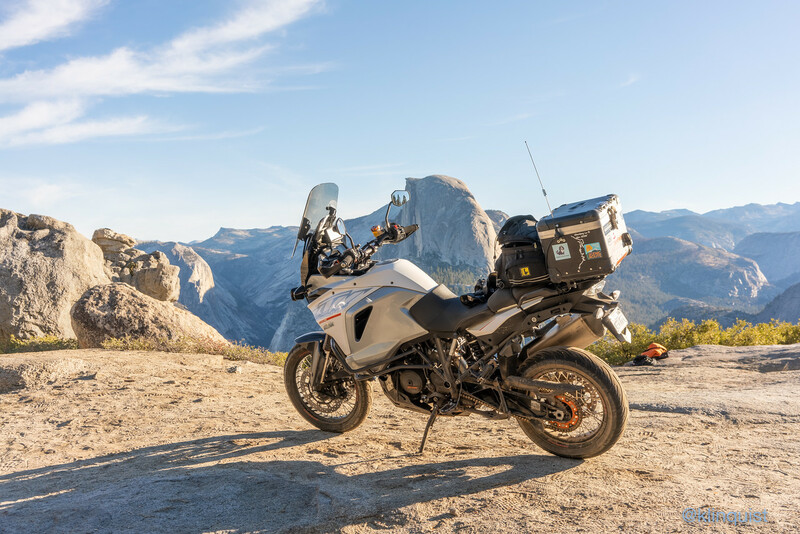 Does your son know that Glacier Point Road sometimes isn't even open until some time in May? I got married at Glacier Point in 2006. In June. The conditions of the roads I posted will change dozens of times from passable to impassible and back throughout the winter/spring season. There is no way of knowing if they will be passable in May. Or what your skill level is :). Thanks. This is definitely on my bucket list of things to do. I also have a 4WD that is like to take the family using this route.